Attention CIMcloud (and Website Pipeline) site owners! We’ve got a security update in the works that we wanted to share, and more importantly, describe how it could impact your website. In a nutshell, the Payment Card Industry Security Standards Council (PCI-SSC) recently released FAQs ahead of changes to their data security standards. Among their recommendations, the Security Council heavily encouraged hosting providers to upgrade their Transport Layer Security (TLS) as soon as possible. With security being one of our top priorities, our IT team is currently working to implement this update so we wanted to provide you with plenty of advanced notice. The upgrade will take place starting in January of 2018, and at that time we’ll be disabling TLS 1.0 and moving to TLS 1.1 or 1.2 so we can continue to exceed PCI certification requirements and ensure your customer data remains safe. Overall, the impact to your website is small and the main thing to be aware of is if any shoppers, or website administrators, are trying to access your site using Internet Explorer 10 or lower. These users will still be able to access your site without issue but will receive an error message when visiting secure pages, such as your Web Driver CMS, login page, or other secure pages of the website. Please review your Google Analytics or another analytics account for statistics on what browsers your customers are using. If you need assistance gathering this data please let us know. Is my web browser compatible with TLS 1.1 or 1.2? To quickly test for TLS 1.1 and TLS 1.2 compatibility, open https://tls1test.websitepipeline.com within Internet Explorer. 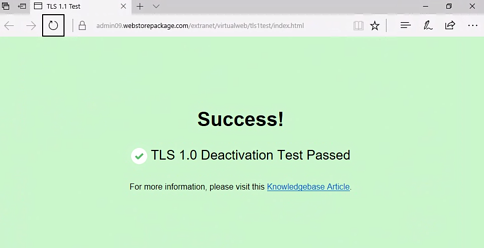 If you see a web page that resembles the following image and contains the text: "TLS 1.0 Deactivation Test Passed," then your Internet Explorer web browser is already compatible with the scheduled TLS 1.0 deactivation in early 2018. What if I want to keep using my current web browser? Customers and administrators who want to continue using Internet Explorer 10 or lower can easily do so with just a few changes to their browser settings. 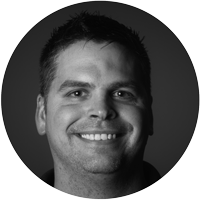 Check out this Knowledge Base article to learn how. We’ll be sure to keep you updated as we get closer to January. If you have any questions in the meantime, don't hesitate to contact our Support team for more information.